Charter jet rental has become increasingly popular over the last few years for corporate as well as leisure travellers. More affordable than first class tickets, more comfortable than commercial flights and more convenient for passengers who want to avoid traffic, schedules and queues, charter flights offer significant benefits over their commercial counterparts. Here are some great tips for ensuring your private jet experience is as enjoyable as possible. 1. Choose the right aircraft: There is a wide range of aircraft for hire in the charter industry and knowing which plane will suit your needs is essential to a comfortable flight. In addition to smaller jets which seat up to seven passengers, there are mid and large size jets ideal for carrying larger parties and going longer distances without refueling – saving you valuable time. Your destination and the number of guests you will be flying with are the most important factors, but be sure to remember other requirements such as particular seating arrangements, privacy and storage as well. 2. Use a broker: Brokers work with charter companies to negotiate the best deal on your behalf, balancing luxury with affordability. They can assist you with choosing a reputable company and selecting the correct aircraft for your trip, as well as ensuring your travel arrangements run smoothly. 3. Be flexible: Although it’s not always possible (and one of the benefits of private travel is their ability to fit to your schedule and not the other way around), it is a good idea to be flexible with your travel times. Flying with short notice on empty leg flights can save you thousands of dollars without sacrificing any of the comforts that come with private travel. 4. Be specific: If you are travelling with children, have pets or have special needs (including mobility requirements) be sure to inform your broker or charter flight service as to exactly what you require. This will ensure the crew is fully informed of your needs and ready to deliver all the assistance you require with the utmost professionalism and friendly service. 5. Know your airport: Charter services are able to utilize smaller, private airports which allow them to deliver quick turnaround times and bypass the hustle and traffic of large airports. These airports are designed with private travellers in mind, offering high-class amenities as well as executive travel and parking services. If you are considering flying out of New Jersey, Monmouth Executive Airport offers everything business and private travellers require. For charter companies, we offer high quality, competitively priced rates, fuel and hangar space in New Jersey, we offer you and your clients an exceptional flying experience. For more information, please visit our website at http://monmouthjetcenter.com/ today. The Caribbean Islands: With hot, sunny weather and little rain, the Caribbean offers everything you could want for a tropical getaway. Enjoy your choice of five-star hotels or rent a private villa and enjoy the world-renowned sandy beaches of this stunning destination. Lapland, Finland: If you’ve always wanted to experience a genuine winter wonderland, this is the destination for you. With world-class hotels and vast national parklands covered with snow, you can indulge in cross-country skiing, ice-skating and reindeer sledding, as well as five-star dining. A visit to the Santa Claus Village and Santa Park will leave you enchanted. San Miguel de Allende, Mexico: Well-known for its festive spirit, this cultural hotspot is a party paradise over the festive season. With street carnivals, theatre productions, fireworks and live music, this is a great location for an exciting, fun-filled holiday. Vienna, Austria: With beautifully decorated streets and festive markets offering spiced mulled wine and sugary treats, Vienna has all the atmosphere of a traditional Christmas from the storybooks. Be sure not to miss the concerts by the Vienna Boys’ Choir. New York, USA: The city comes alive in during the holidays with theatrical productions, festive décor and, of course, the magnificent tree covered with over 30,000 twinkling lights. New York offers one of the most glamorous, fun and enchanting Christmas experiences in the world. If you are considering flying out of New Jersey,Monmouth Executive Airport offers everything business and private travellers require. For private jet and charter companies, we offer high quality, competitively priced rates, fuel and hangar space in New Jersey. Located just 20 minutes from New York city, we offer 24-hour airport services and amenities, including concierge services and catering as well as limousine and taxi airport transfers, delivering world-class service at every turn. 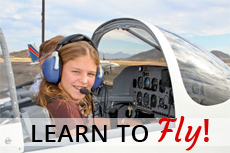 For more information, please visit our website at http://monmouthjetcenter.com/ today.